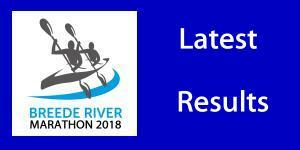 As entries for the Breede River Canoe Marathon on 25 and 26 August continue to arrive at the race headquarters following the extension of the normal entry deadline, one K2 entry signals the return to competitive canoeing for one of the sports former world champions, Shaun Rubenstein. 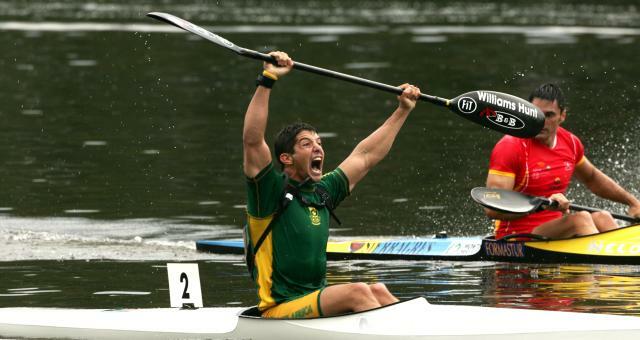 Rubenstein has entered with strong Port Elizabeth youngster Jordan Zeelie as his partner, but fans of the sport will note that the entry signals a return to paddling for the former Johannesburger, now living in Cape Town, who raced sprints and flatwater marathons for South Africa with great distinction, culminating in his dramatic K1 world title at the 2006 World Marathon Championships in Tremolat in France. 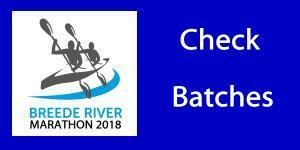 “I am super amped to get back on a river and race a bit,” said Rubenstein ahead of the two day race from Robertson to Swellendam that will also double as the national K2 river champs. “I am not sure I am going to be challenging the leaderboard at all, but yes I’ve been training a bit and actually quite enjoying being fit again,” he said. 34 year old Rubenstein was excited to have paired up with the strong Eastern Cape youngster Zeelie for the 70 kilometre race. “I got some young blood pulling me along, which should help,” he quipped. The Beijing Olympian and three times world marathon champs medallist said that he was forced to do some of his conditioning off the water to fit in with his busy work schedule, but felt that he would be ready for the popular two stage race. “Most of my training is done on my ergo at home as it’s hard to get on the water in winter with work and family time constraints,” he said. “I only get on the water on the weekends, so I honestly have no idea what I will be like in the river again,” he joked. They will race in the senior field against what is always a strong field, spearheaded by the defending champions Stu MacLaren and Kenny Rice, and several other elite racers preparing for the 2018 edition of the world marathon championships in Portugal in September. For Rubenstein, his focus will be far from the nervous anticipation for competing for the global showcase podium but rather on enjoying the sport that took him to the top of the world twelve years ago.